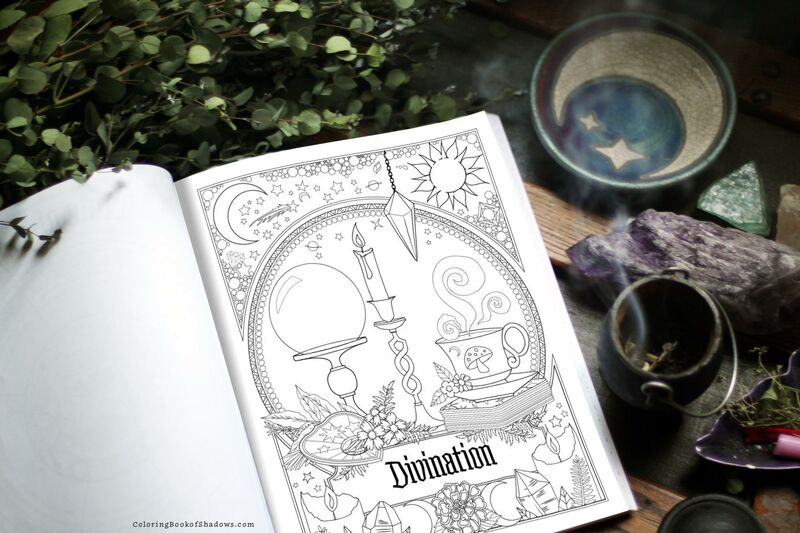 Want to make more magic happen in your daily life? 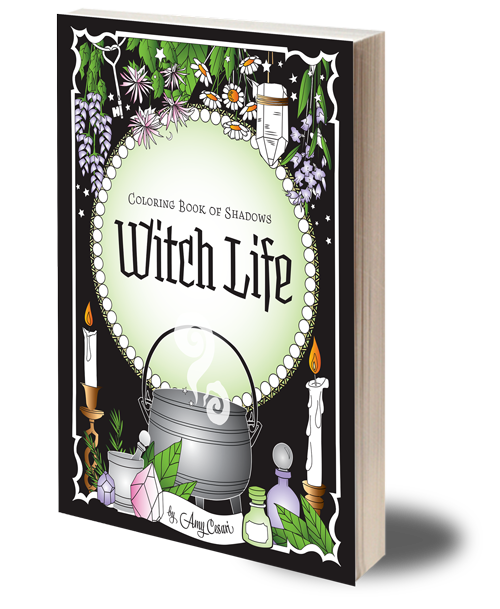 A different kind of spell book, Witch Life is a visual canvas to explore the rhythms and rituals of the everyday. 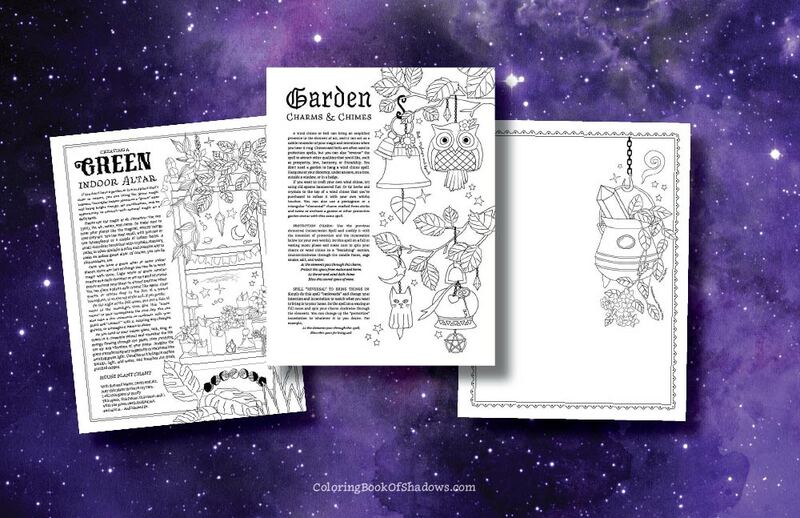 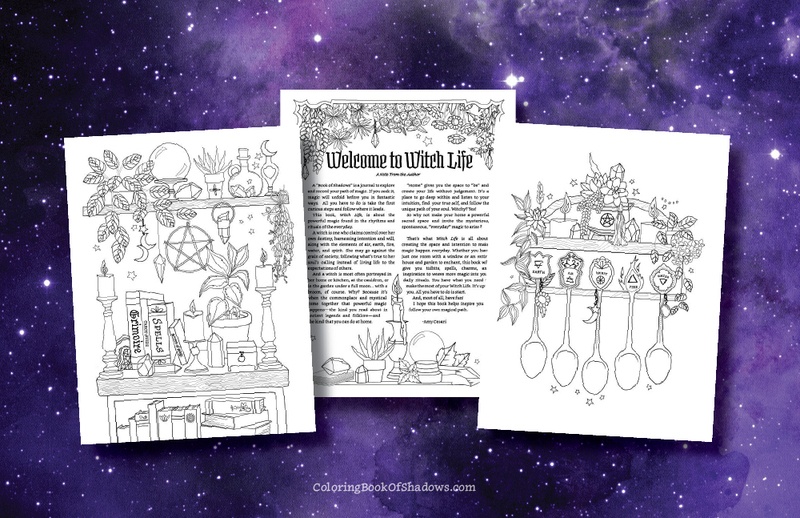 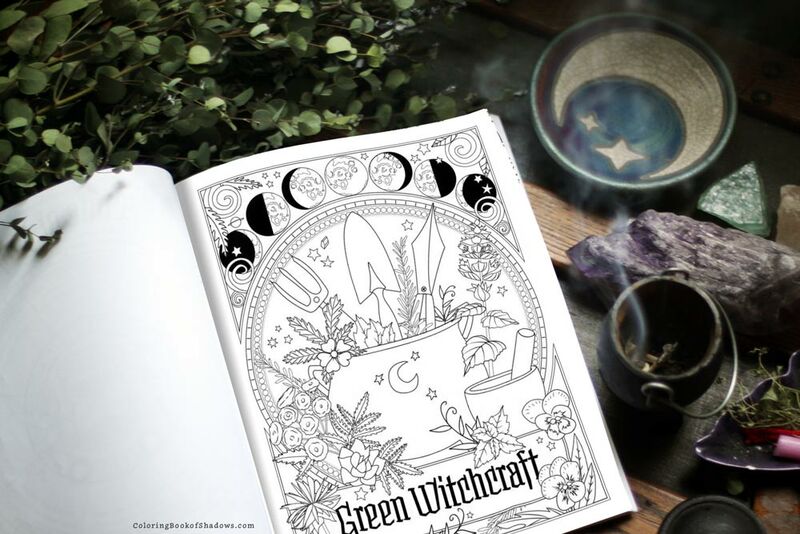 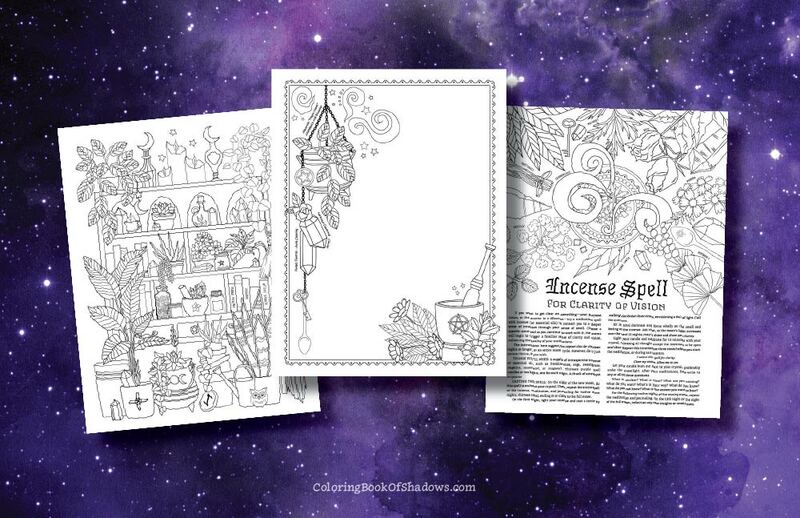 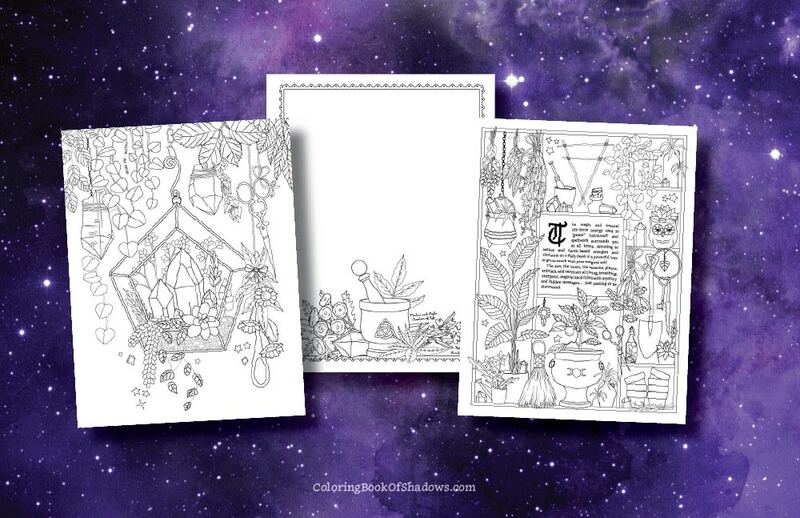 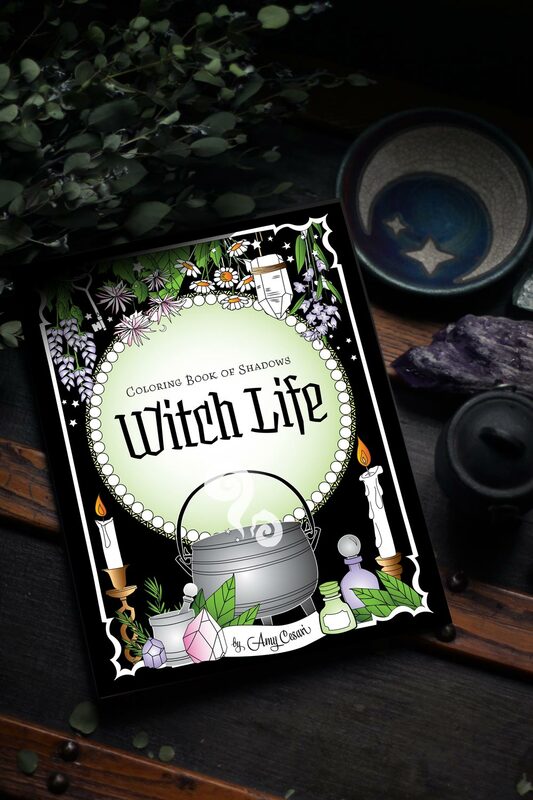 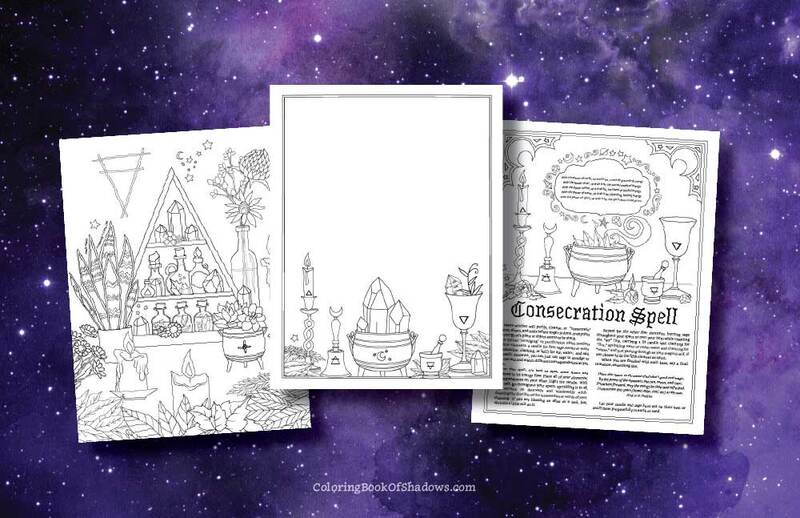 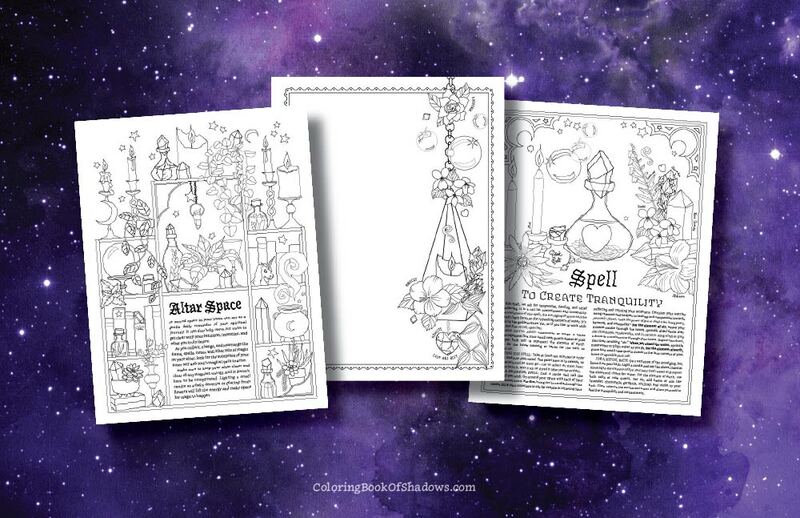 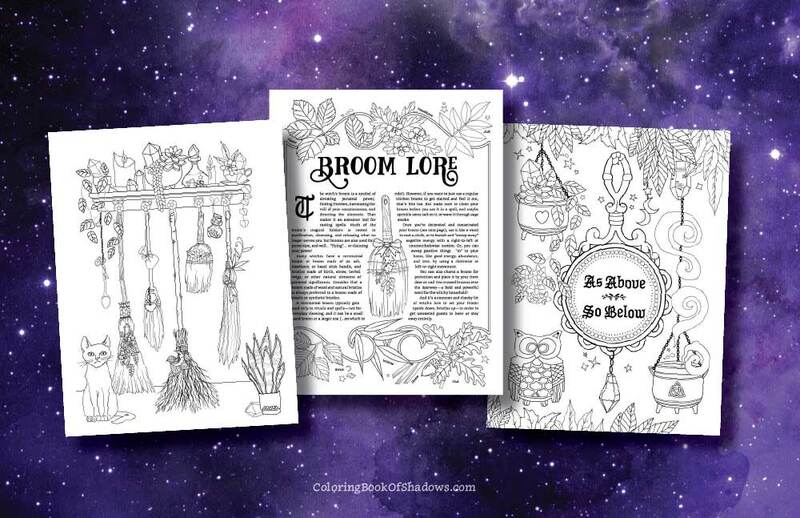 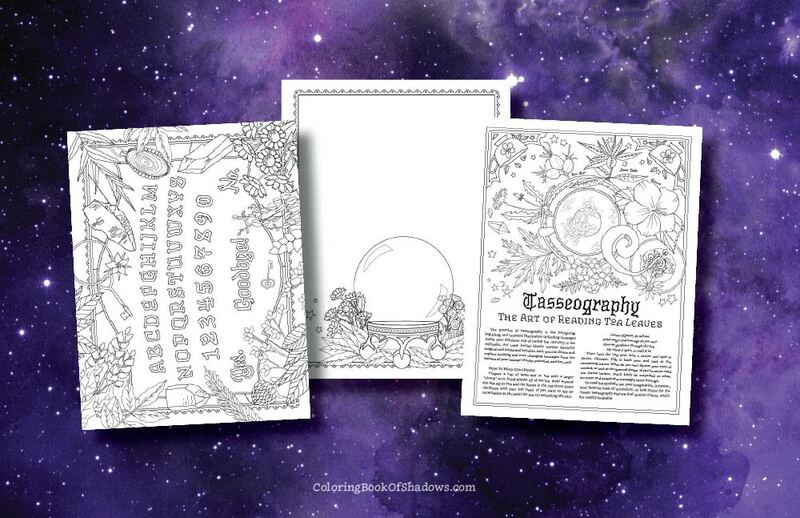 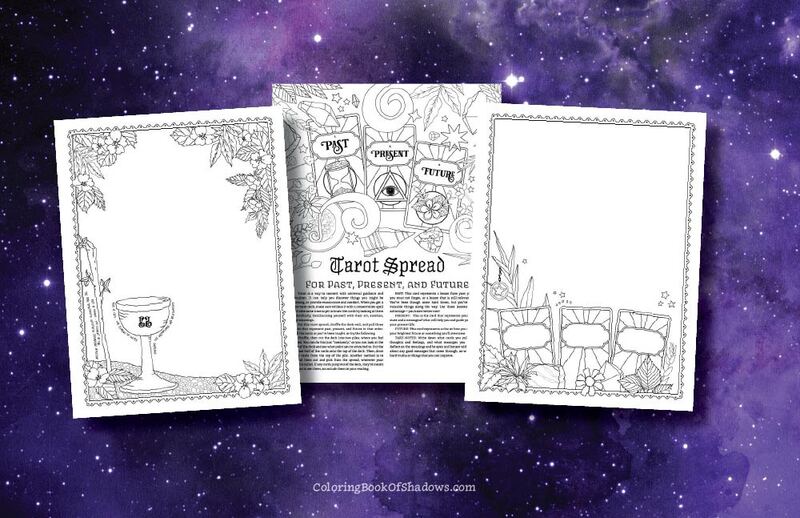 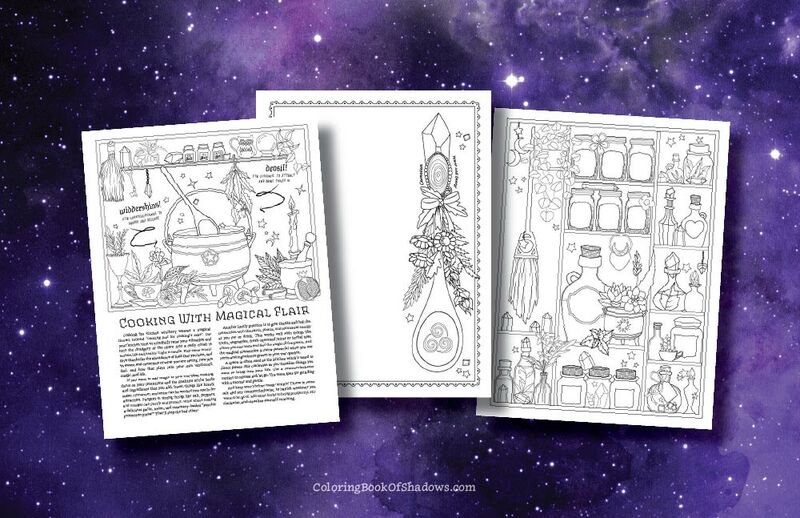 With original illustrations to color, useful spells to try, and lots of witchy ideas and correspondences to explore… take your witchcraft to the next level and see what kind of magic you have, just waiting to be unlocked! Find yourself in the creative, empowering world of your own magical life! 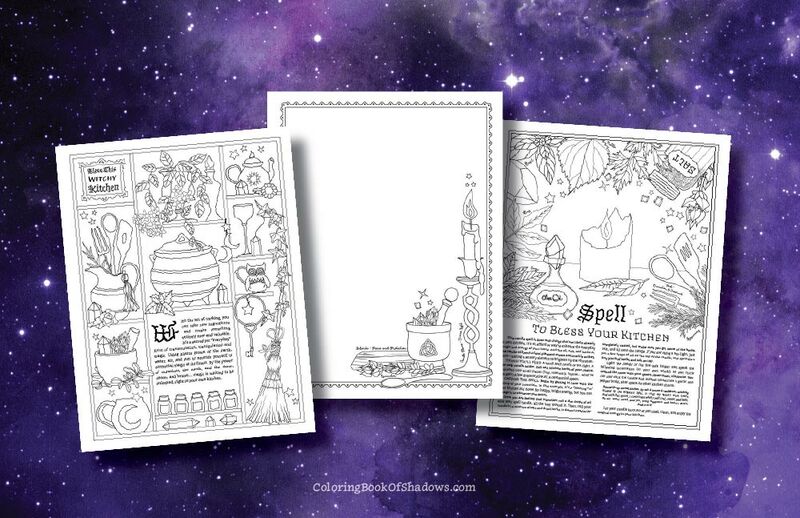 Illustrated sells, correspondences, and magical activites to try in your kitchen! 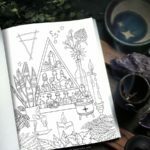 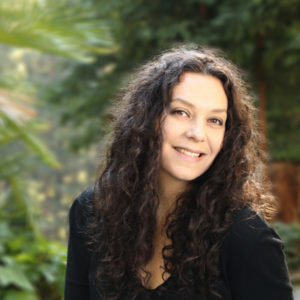 hi I’m Amy, forest dwelling Author, Illustrator, and high-powered Magical Business Consultant. 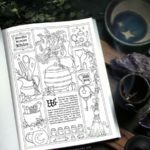 I’m also an avid crocheter, gardener, and have a ridiculously goofy sense of humor. Not only do I own every Nintendo game console ever made, I’ve got several fancy diplomas — including a Master’s in Business, a Bachelor’s in Industrial Art, and Advanced Studies in Various Magical Practices.